From nearly 400 submissions, IFFR has selected 16 projects – with expected budgets ranging from €400,000 to €4 million – to present at the refocused 35th edition of CineMart, Rotterdam’s co-production market. CineMart offers filmmakers and producers the opportunity to present their new project to film professionals in order to take the next step in its creative development and financing. All of the selected filmmakers make their CineMart debut in 2018, with the exception of Matt Porterfield. His film Sollers Point was featured at the 2013 edition of CineMart and is now selected to screen at IFFR 2018’s Voices section. Kaweh Modiri is no stranger to the festival either. His first feature Bodkin Raswas selected for the Bright Future Main Programme in 2016 and won the FIPRESCI Award. Life stories of the inhabitants of a Scottish town were incorporated into the screenplay, after which they played themselves. 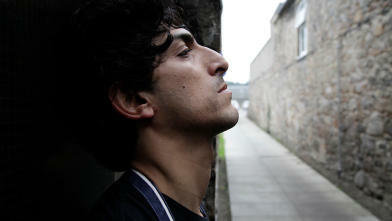 The arrival of a stranger, the young fugitive Bodkin Ras (played by Sohrab Bayat, the only real actor), worries them. Who or what is he fleeing? And how dangerous is he? Both Gastón Solnicki and Jean-Gabriel Périot have presented several films at IFFR. Solnicki’s Kékszakállú was screened at IFFR 2017 and won the FIPRESCI award at Venice. In 2009, Périot was selected for IFFR’s Tiger Award for short films with Entre chiens et loups and has since made a name for himself with films such as A German Youth. This highly praised first fiction film by Argentine talent Solnicki (Papirosen, IFFR 2012) is a beautifully filmed portrait of several young daughters of rich industrialists, examining in an equally intangible and compelling way the physical and spiritual aspects of a cultural recession. Tragicomic yet unsettling. Some filmmakers have a track record in making short films. Rachel Lang and Lovisa Sirén have previously seen their short films selected for several festivals and Jesper Dalgaard, who has made short documentaries and a virtual reality performance, presents his first feature film at CineMart. Four selected filmmakers come to CineMart with the aim to follow up on their recent success. Johnny Ma won the Best Canadian First Feature Film Award in Toronto for Old Stone Gurvinder Singh was selected for the prestigious Un Certain Regard in Cannes Ricardo Silva won at Locarno with Navajaro in 2014; Anita Rocha da Silveira’s Kill Me Please was nominated for Best Film at Venice Orizzonti; and Hlynur Pálmason’s Winter Brotherscollected awards at several festivals. The emerging filmmakers Luck Razanajaona, Dean Loxton, Carolina Markowicz and Ann-Julie Vervaeke enter CineMart with their first feature projects. and the Filmmore Postproduction Award of €7,500 to be used for colour grading and visual effects. The 35th edition of CineMart will take place during IFFR PRO Days from 27 January to 2 February 2018.